Image source. Title added since no title was on the original. 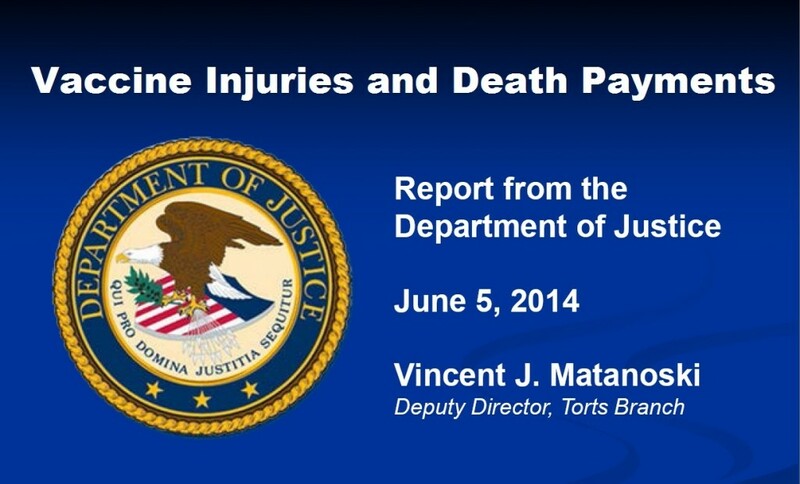 Read the full report here from the government website. As can be seen in this report and other reports from government payments for vaccine injuries, Guillain-Barré Syndrome (GBS) is the most common side effect and injury due to the flu vaccination. Here is one story of a man who nearly died from GBS resulting from a flu shot, and here is a recent story of a nurse that was awarded $11.6 million after being paralyzed by the flu shot. According to the latest statistics (September 2014) listed by the U.S. Department of Health and Human Services here, there were about 944 million doses of the flu vaccine distributed between 2006 and 2013. While mercury in the form of thimerosol has been removed from most childhood vaccines, it remains in the flu vaccine, which is recommended for young children, pregnant women, the elderly, and just about the entire population. Mercury is a well-known neuro-toxin, but it is such an effective preservative, that it is used in bulk, multi-dose containers of vaccines. In fact, U.S. law requires it. This should surprise no one, since the government’s position on this matter is that mercury in vaccines is safe. Implementing safeguards to ensure mercury is kept out of vaccines for those who don’t want it would be too burdensome to the drug manufacturers who need to manufacture them in large batches to keep costs down. There is a reason why the flu vaccine is the most dangerous vaccine in the U.S. causing the most injuries. It is an annual repeat vaccine that the government wants ALL citizens to take every year, including infants, pregnant women, and seniors. From the U.S. Department of Health and Human Services report here, no other vaccine comes close to the flu vaccine in distribution. Yearly sales in flu vaccines exceed 134 million doses, while all other vaccines combined total just less than 200 million doses. 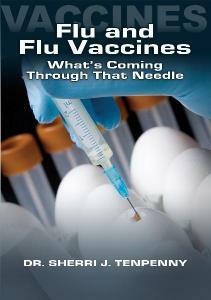 According to sales statistics from 2013, the revenue of annual flu vaccines is increasing. For example, Walgreens’ 2013 sales report shows flu shots increased from 6.9 million doses in 2012 to 7.5 million this flu past season. Does the Flu Vaccine Prevent Serious Illness? This is the big question that needs to be answered to justify mass vaccinations and documented lives destroyed by the flu vaccine. Those marketing and pushing for the vaccine want you to believe that the minority need to be sacrificed for the greater good of the majority, and that the flu vaccine is effective. But where is the proof the flu vaccine is effective? Is this a scientific fact, or simply a belief to support a billion dollar vaccine industry that cannot be sued for damages? Even that 500 figure for the U.S. could be too high, according to analyses in authoritative journals such as the American Journal of Public Health and the British Medical Journal. Only about 15-20 percent of people who come down with flu-like symptoms have the influenza virus — the other 80-85 per cent actually caught rhinovirus or other germs that are indistinguishable from the true flu without laboratory tests, which are rarely done. In 2001, a year in which death certificates listed 257 Americans as having died of flu, only 18 were positively identified as true flus. The other 239 were simply assumed to be flus and most likely had few true flus among them. If people (both doctors and patients) would read the package inserts supplied by the flu manufacturer, they would learn that their own trials on the vaccine show they are relatively ineffective. As Dr. Brownstein wrote on his blog earlier this year, the new flu vaccine recommended for seniors this past flu season was found effective only 1.89% of the time, or only prevented the flu for one person vaccinated out of every 217 elderly people receiving the vaccine! More concerning than the fact that the flu vaccine is not effective, and therefore cannot be used as a reason to justify flu vaccine injuries and deaths, is the research showing that the vaccine can actually cause people to be more susceptible to the flu, or suffer worse symptoms if they contract the influenza virus. Why Are We Still Mass Vaccinating with the Flu Vaccine? 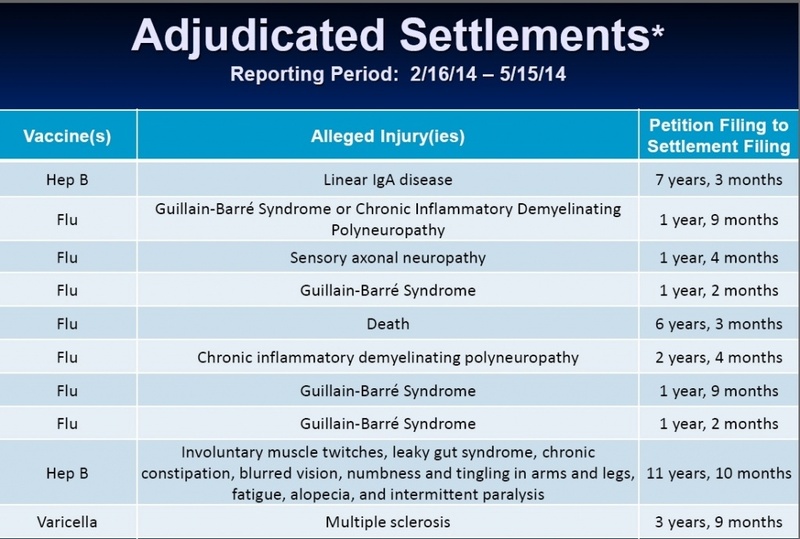 People are harmed and killed by the flu vaccine – the U.S. government pays out damages because vaccine manufacturers have legal immunity. The flu vaccine is big business, earning as much revenue as almost all other vaccines combined. The flu vaccine is not proven to be effective at preventing influenza. In spite of these clear facts, the U.S. government (politicians) and vaccine manufacturers want the entire U.S. population vaccinated with the flu vaccine, from infants to seniors. What about doctors and other medical professionals? They are not unified on this issue. 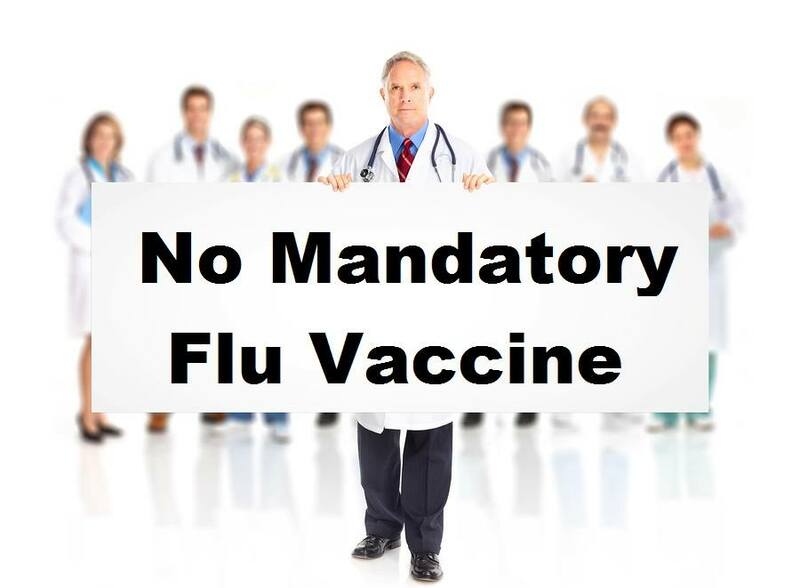 There is growing opposition in the healthcare field to mass flu vaccination. However, the pharmaceutical lobby is very powerful, exerting great influence over medical colleges and universities, as well using politicians to accomplish their goals.